Swanston Glass & Windows have been supplying and fitting all types of glass to our trade and domestic clients for over sixty years now. We supply 2mm picture glass, window & door glass, mirrors, horticultrual green house glass, replacement double glazed sealed units and much more. 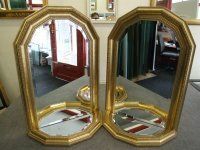 We are able to cut mirrors in our shop, and can be custom made to any specification, size or shape, holes can be drilled for screw fixing to a wall, the edges can be bevelled and polished, we also supply mirror domehead screws and verity clips for fixing. Laminated safety glass like your car windscreen is ideal for providing impact resistance and security since it may break on impact but the glass will remain in place thus helping to prevent injury or intrusion. 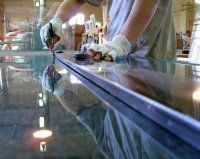 Laminated glass can be used for shop fronts, safety glazing at home and acoustic noise reduction, Swanston Glass can supply and fit all Laminated Safety Glass cut to size. Pilkington range of obscure patterned glass. Flemish. Stippolyte. Linkon. Artic. Cotswold. Autumn. Sycamore. Florielle. Digital. Charcoal Sticks. Oak. New Contour. Taffeta. Pelerine. Chantilly. Everglade. Minster. Warwick. A range of etched glass that gives you special design options for use througheout the home.Brocade. Laurel. Ravenna. Canterbury. Swanston Glass & Windows can produce table tops and shelves to suit your own style, size or shape using varying thicknesses of glass and edge profiles. Silicone Sealants, Putty, Mirror Adhesive, Decralead 6mm 9mm 12mm 50mtr Rolls, Air Vents, Putty Knifes, Window Friction Hinges, Bohle Professional Glass Cleaner, Green House Clips, Upvc Window Trim, Security Glazing Tape, Espag Upvc Window Handles. We are always happy to try and beat any quotation you have had elswhere for any glass, please feel free to contact us.